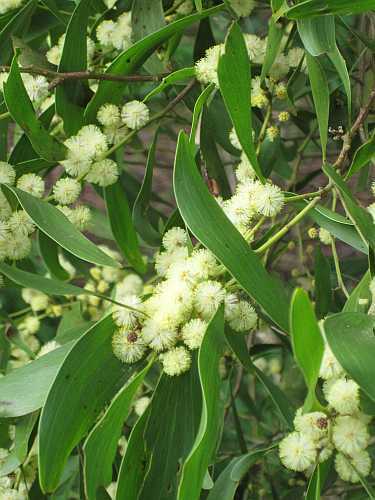 Plants of the under storey may be long lived like Acacia melanoxylon - the Blackwood, which is a fast growing tree with a heavy canopy. Acacia melanoxylon is found in damp areas preferably on deep soils . It grows to 30m with hard dark fissured bark. 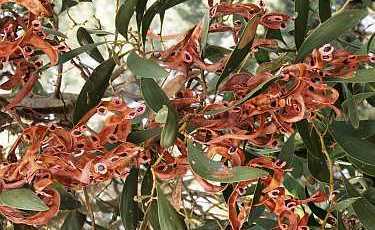 Leaves are flattened stems called phyllodes, fruit are pale brown pods that become twisted with a red funicle that supports and surrounds the seed. Timber is a hardwood prized for timber. 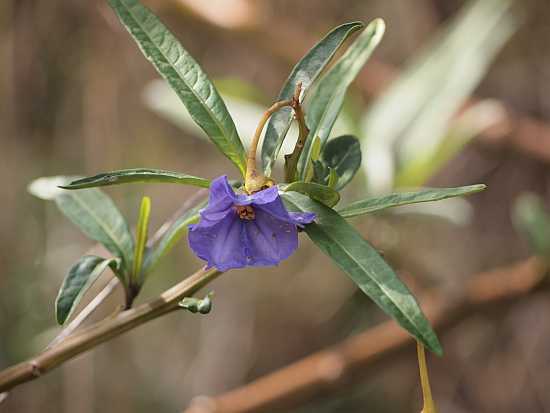 Solanum aviculare Kangaroo apple: The kangaroo apple acts as a pioneer plant in the transition of the pasture to damp forest. It is not a permanent member of the habitat but regenerates quickly. These plants have sprung up naturally from dormant seed or may be distributed by birds. The pioneer community will gradually change the environment by increasing humidity, shelter and humus in the soil and decreasing temperature fluctuations. The shrubs vary from 1 to 3 metres . Leaves are shiny dark green, either undivided or with several lobes. Flowers are pale to deep mauve, fruit are orange to red and when were a source of food for Indigenous people.